Dr. Wulsin has been in private practice in central Seattle since 1990. From 2001-2 he served as the CAM medical director for American WholeHealth Networks. He has been on clinical and adjunct faculty at Bastyr University from 1995-7, 2000-01. He also co-directed the university’s Integrated Care Clinic the delivered a full range of health care for people with HIV/AIDS. He pioneered an ND staff position at the Country Doctor Community Clinic on Capital Hill from 1997-2000 in an integrated care setting. He is also a former AANP Board member and was the first AANP Treasurer. He served on the Board of Trustees at Seattle Waldorf School and the Board of Sakya Monastery. He has led or participated in four organizational strategic planning processes of NGO’s. Dr. Wulsin has been the director of Health Development Resources since 1990. In this capacity he consults for public health and research projects in the areas of project identification, design, implementation and evaluation in Latin America and south Asia. He participated in the first week of operations for Acupuncturists without Borders in Louisiana after Hurricane Katrina and saw hundreds of earthquake survivors in Port au Prince, Haiti in March 2011 with Tzu-Chi Foundation. He specializes in the adaptation of traditional medicines for low technology strategies to manage chronic debilitating conditions. He has worked with natural resource management and health development for over thirty years in many counties, and has also organized facilitated and presented at several workshops, symposia and conferences which involve health and development. Dr. Wulsin received his doctorate (ND) from Bastyr University in Seattle and a masters in public health (MPH) from the University of Washington specializing in nutrition and community oriented public health practice. He simultaneously earned graduate certificates in global health and HIV/infectious disease. 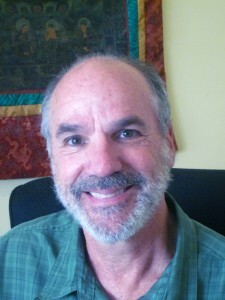 He also holds a masters (MA) in international development and economics from Johns Hopkins University (SAIS), a bachelors degree (BA) in Genetics and Central Asian history from University of California at Santa Cruz , holds a NCCAOM Diplomate and is a graduate of the Northwest Institute of Acupuncture and Oriental Medicine. He has postgraduate training in psychology, traditional Chinese medicine, yoga and public health.